The Greenfield R-IV School District is requesting bids to install chain link fencing along a portion of the district’s Elementary School. The installation will require an estimate of 238 feet of new fence, six feet high. Along with the new installation, all interested bidders should inquire about repairing, roughly 200 feet of existing fence. Bids may be mailed or hand delivered to the Greenfield R-IV School District, 410 College Street, Greenfield Mo. 65661. Bids will be received until 3:30 p.m., Tuesday, March 19, 2019. Recommendation and award of the bid will be made at the regular meeting of the School Board on March 20, 2019. Following acceptance of the bid, the successful bidder will be notified. The District reserves the right to reject any and all bids made, and waive informalities to the bids or in the bidding. 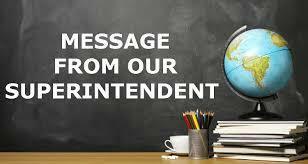 For any additional questions and job specifics, contact Superintendent Chris Kell, at 417-637-5321 ext. 312. Copyright © Greenfield R-IV School District 2019. All rights reserved.